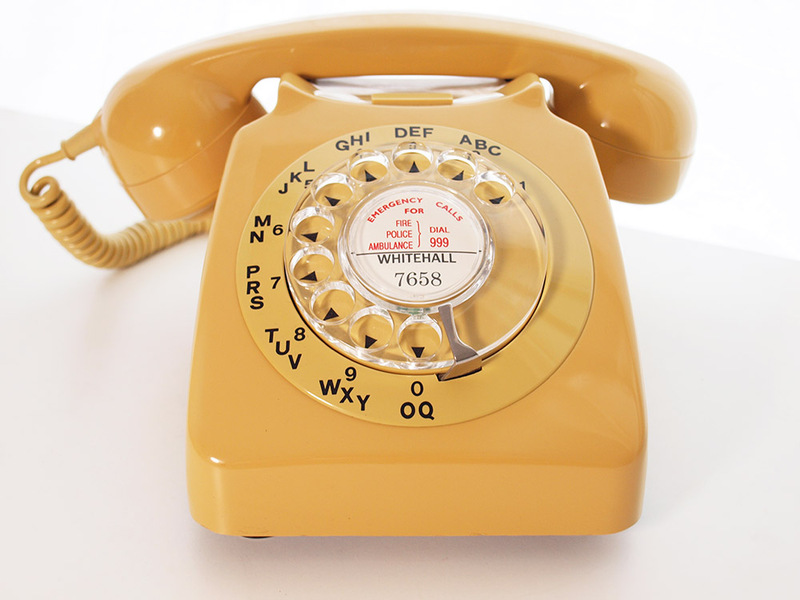 This is a very nice GPO 746 in mustard. Not often seen in this colour. It has been stripped down cleaned inside and out and polished. The dial has been stripped cleaned and fully set up to work correctly. It has been fitted with an electronic microphone and is ready to plug in and go. It has alpha numeric outside dial ring, a chevron dial face and clear finger dial. I can make a dial label with your information at no extra charge.